What is a Community Dietitian? We provide practical, evidence based dietary advice that is specifically tailored to each individual. Through dietary modification we aim to prevent and treat a range of medical conditions and empower people to make appropriate diet and lifestyle choices. Community Dietitians see patients in a variety of different settings including community hospitals, nursing and residential homes, clinics, group sessions and patient’s own homes. To ensure the best standard and continuity of care possible, we work closely with GP’s, community nurses and other health care professionals. We also provide support and training for other health care professionals and community workers. This increases knowledge and skills, and ensures consistency in the provision of evidence-based information about food and nutrition. How can I access a dietitian? 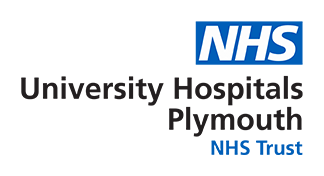 We are based at Estover Health Centre and run clinics throughout Plymouth and the surrounding area. You will be seen at a location which is convenient for you. If your mobility is limited then you may be offered a domiciliary visit. Who Should I refer to a Community Dietitian? Please complete the Community Nutrition & Dietetics Referral Form and post/fax/email it to the contact details below. GP or Consultant must have agreed to the referral. Please check the patient is available to attend an appointment within the next 6 weeks. Adults will be discharged if they do not attend an appointment or if they cancel with less than 48hours notice. Children will not be discharged without approval from the referrer (GP/Consultant).